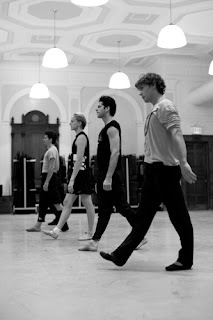 This is the last week of rehearsals for the Kings of the Dance. The show will open in Moscow in just seven days before the production comes to the Center for its American premiere. 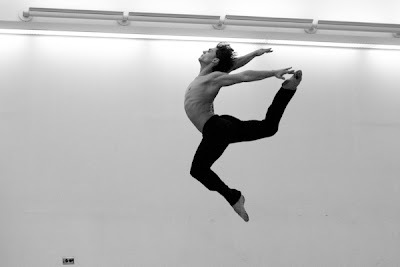 While many of the pieces are already set and being polished in rehearsals, today's focus is in on a completely new work being created by Jorma Elo for Marcelo Gomes. Elo, the Finnish-born resident choreographer of Boston Ballet, has set his new dance, Still of King, to the first movement of Franz Joseph Haydn's Symphony No. 100 in G major. Elo cues the music and Gomes walks slowly to the center of the room. The dancing that follows is brilliant, full of mercurial shifts of mood, fluid, modern, and expansive. Sept 18. The first full week of rehearsals has just ended and looking back, it's amazing how much has been accomplished in such a short time.